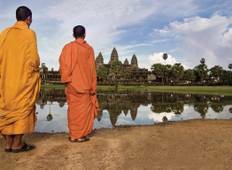 Find a culture trip that explores Cambodia, Laos And Vietnam. There are 14 cultural tours to choose from, that range in length from 16 days up to 29 days. The most popular month for these tours is January, which has the most tour departures. "Laos was a country I’d like to explor further, the accommodations were great and..."